LionDesk and Top Producer are real estate customer relationship management (CRM) tools, lead nurturing, and more. LionDesk starts at $25/month while Top Producer offers a CRM for $40/month and add-on services for an additional fee. LionDesk is best for comprehensive lead management tools while Top Producer is best for basic contact organization. LionDesk is a real estate CRM featuring robust, highly customizable client management tools. It features effective, automated drip marketing tools that enable agents to send target messages with eye-catching video content, making it great for solo agents, small to medium teams, and large brokerages that want to better manage and nurture leads in one place. Top Producer provides client management and nurturing tools. Top Producer’s lead nurturing tools are more outdated and less user-friendly than LionDesk’s, but users report that the platform is best for organizing client contact information. Try Top Producer if you need a CRM but don’t have the time to learn LionDesk’s more comprehensive features. If you’re looking for an inexpensive and robust general CRM that you can customize for your RE needs, check out Freshsales. The platform’s wide range of packages starts at the Forever Free version and increases to $79/user/month. Freshsales also offers a free 30-day trial so you can try it risk-free if you want to use a CRM without breaking the bank. To compare LionDesk versus Top Producer, we evaluated each provider’s ability to organize client details, nurture lead relationships, and track transactions. Specifically, we considered pricing, CRM functionality, lead nurturing, app integrations, and more. Based on those criteria, we identified LionDesk as the most robust real estate CRM for your real estate business. Pricing – In general, pricing for real estate CRM tools vary based on how comprehensive the platforms are and how many agents you have on your team. Contact management – Comprehensive real estate lead management platforms include a CRM tool to organize leads by location, search urgency, favorite properties, and more. Marketing – CRM marketing tools include automated drip marketing campaigns, video texting, and more. IDX-enabled website – We compared customization options, design, and ease-of-use for each platform’s IDX-enabled websites for buyer lead generation. Ease of use – We compared user reviews for each platform to evaluate how easy the CRM tools and agent platforms are to navigate by real estate agents and potential buyers and sellers. When comparing LionDesk versus Top Producer, we chose LionDesk for real estate lead management because they offer user-friendly and robust lead management and nurturing tools like round-robin lead assignment and easy-to-use drip marketing. LionDesk is also less expensive than Top Producer. Though LionDesk can be more affordable than Top Producer, both platforms may still be outside your budget and may not be the best option for your agency. If you need a CRM but don’t have a large budget, consider Freshsales as an alternative. It isn’t a real estate-specific platform, but Freshsales offers extremely robust and user-friendly lead management tools. 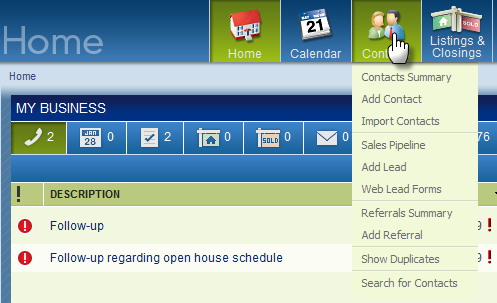 LionDesk and Top Producer are both real estate CRMs that help agents organize leads and contacts. However, Top Producer isn’t as user-friendly as LionDesk and doesn’t include robust nurturing tools like automated email and text follow-ups. This makes LionDesk best for robust lead management and nurturing, while LionDesk is best if you’re just looking for client organization. LionDesk offers a free trial and two packages for solo agents and small to medium teams, which cost $25/user/month and $49/user/month. LionDesk also offers an enterprise level plan with pricing customized to fit needs. A power-dialer can be added on for an additional $49 to $59 per month. LionDesk features lead tracking with tools like task plans, workflow management, team contact sharing, and agent lead distribution. It offers round-robin lead distribution and the platform lets agents access information like recently opened emails, previous calls or texts, and biographical and transaction data from social media and other sources. You can also add tons of custom fields like children and pet information to get more customization than Top Producer. LionDesk offers more extensive lead follow-up and drip marketing options than Top Producer. In addition to basic bulk emails, text, phone, and video follow-up, LionDesk provides customized video text and email options so you can target leads with exciting and informative content. Rather than just scheduling emails, use the Blended Campaign feature to send emails, texts, videos, or prompt calls exactly when leads are most likely to respond. LionDesk integrates with a variety of third-party apps to help streamline lead generation and follow-up. Unlike Top Producer, the platform doesn’t have built-in IDX website capabilities, but the software can integrate with IDX providers like Real Geeks, Easy Agent Pro, and IDX Broker. LionDesk also integrates with marketing and advertising tools like Mojo Dialer, Mailchimp, and Facebook Ads through Zapier. Top Producer offers a la carte services as part of their real estate software platform. The CRM tool is $40/month and users can select additional service like an IDX website or the Market Snapshot tool for $35/month and $60/month, respectively. You can also get additional websites for $25/month. Top Producer offers a CRM dashboard and email marketing tools to help agents organize leads and maintain a consistent follow-up schedule. The platform also includes an optional IDX website feature and the Top Producer Market Snapshot tool, which lets users provide clients with up-to-date neighborhood market data. Top Producer includes marketing features that help agents create lead-specific emails from templates, automate email marketing campaigns, and send newsletters with relevant market information. Marketing and follow-up features are included in Top Producer but are not as robust as those offered by LionDesk, like text and email video messaging. 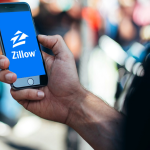 Top Producer integrates with a variety of third-party apps, including Zillow, BombBomb, Mojo Dialer, and more. These integrations enable agents to connect their CRM to marketing initiatives, lead follow-up tools, content development, video creation tools, and other lead nurturing tools. Plus, you can connect with Mailchimp to create custom drip marketing campaigns. Unlike LionDesk, Top Producer offers real estate websites with fully-integrated IDX capabilities. In addition to letting you showcase properties with one of several website templates, you can use Top Producer’s Market Snapshot tool to share local Just Sold, Just Listed, and Price Reduction activity with your leads. Both LionDesk and Top Producer feature CRM and lead nurturing tools. However, some users report that Top Producer’s interface is clunky and lacks the intuitive tools offered by LionDesk. For that reason, and because of its accessible learning curve, LionDesk is our top choice for ease of use. LionDesk offers both robust and easy-to-use lead management tools. Agents report that the platform has an intuitive user interface and a mild learning curve that make it easy to manage your leads right off the bat. Plus, users can take advantage of the Daily Vitals feature, which lets agents monitor outgoing and incoming calls, texts, and emails in real-time. Some Top Producer users report that the platform is difficult to use. In addition, some agents feel that the platform’s user experience is outdated and that the Top Producer mobile app is difficult to use. Finally, in spite of Top Producer’s substantial online resources, user reviews reveal that it is difficult for non-tech-savvy people to use. We contacted LionDesk and Top Producer and looked at online reviews to evaluate the quality of customer service offered by each platform. Both platforms offer email and telephone support plus online resources. However, we found Top Producer offers the most extensive online learning resources, like video tutorials and live training classes. 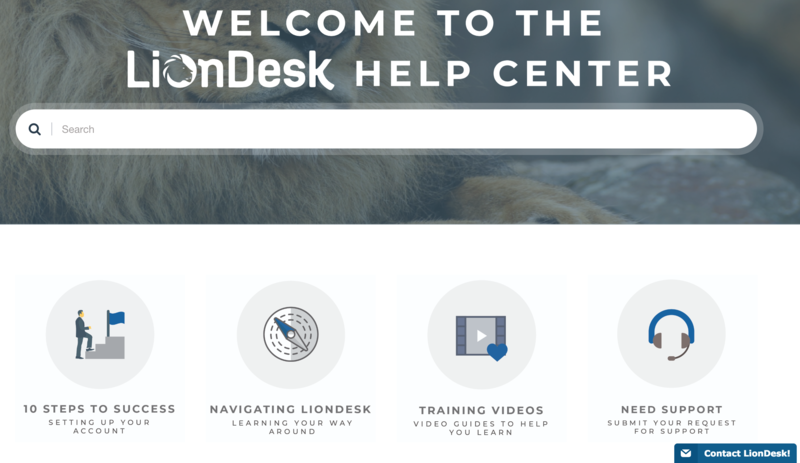 LionDesk provides users with customer service through phone, email, online chat, and a blog. They also have a comprehensive Help Center that includes training videos, a variety of educational articles, and an online service request submission platform. 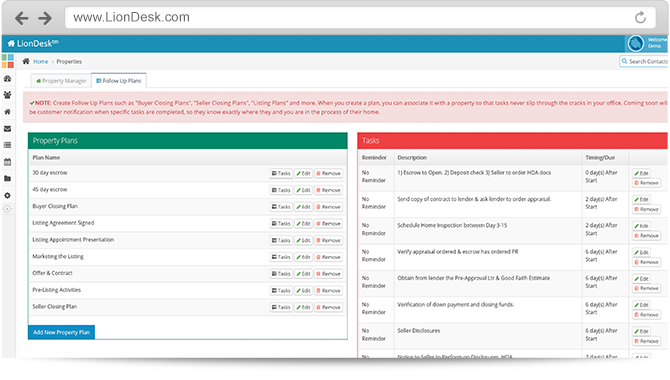 Like LionDesk, Top Producer offers customer support via phone, email, and online request forms. 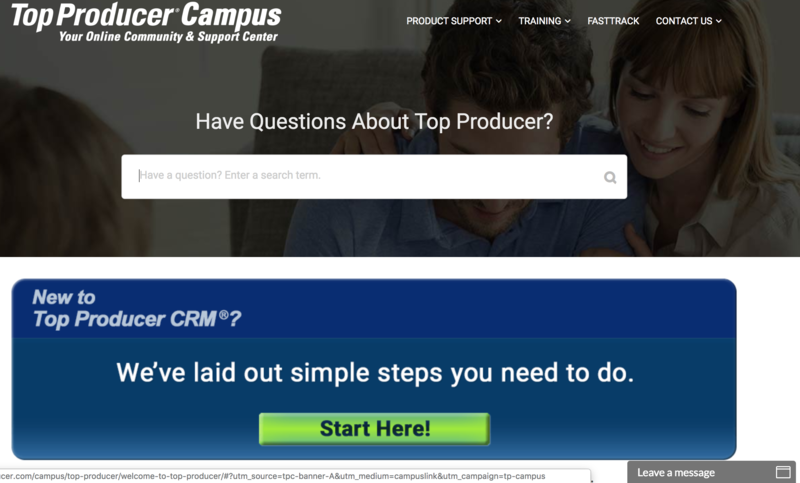 Agents can also take advantage of Top Producer Campus, which provides users video tutorials, free live online classes, trainers, and self-directed learning courses. LionDesk has excellent reviews because of their user-friendly CRM tools. However, Top Producer users have had less success with the platform and find the software to be clunky. In addition, agents experience differences in pricing, ease of use, and functionality between platforms. Overall, there are more positive reviews available for LionDesk. LionDesk users are happy with how robust and user-friendly the platform is—even for agents who are not technologically savvy. Agents also like the round-robin lead assignment features and how easy it is to send bulk communications. Some LionDesk users find that the transaction management tools are not as robust as the CRM. Head over to The Close for feedback from LionDesk users. In general, Top Producer has lower customer rating than LionDesk. Top Producer customers report that they like that the software integrates with over 100 lead sources. However, some agents find the platform to be outdated and difficult to use. For more information on what users think about the software, check out our Top Producer reviews page. LionDesk is an incredibly robust CRM that includes all of the lead generation, management, and nurturing tools necessary to grow and sustain your real estate business. However, it does not include a built-in IDX website like Top Producer offers for an additional fee. Instead, LionDesk users have to integrate with a third-party IDX website provider. Like LionDesk, Top Producer lets agents send bulk texts and emails to their leads. However, Top Producer lacks the ability to create and send video texts and emails that are available as an add-on with LionDesk. As such, Top Producer users who want to send video will have to create content using third-party software. LionDesk and Top Producer both offer lead management tools. Top Producer doesn’t include the more robust lead nurturing tools that come standard with LionDesk, instead offering only basic contact organization tools and the option to add an integrated IDX website. As such, Top Producer is best if you need basic lead generation and contact organization tools. If neither LionDesk nor Top Producer fits within your budget, Freshsales is a less expensive option with great customization capabilities. Freshsales is a robust and easy-to-use management tool but is not real estate specific. Check out a free 30-day trial version of any Freshsales plan to discover whether it’s right for your agents.